The Global Geothermal Energy Summit, organized by the Active Communications International, Inc. (ACI Europe) will take place from 18th February to the 19th February 2015 in Reykjavik, Iceland. The conference will cover areas like Detailed Design And Construction, Optimised Operations And Maintenance Of Geothermal Power Plants. The Conference will comprehensively address the heating and cooling sector, explore the role of this sector in achieving the EU's climate and energy objectives, initiate debate and build consensus on how to ensure full participation of this sector in the EU's energy transition. The opportunity to discuss with European and national policy makers, representatives from industry, businesses and consumers' representative bodies, professional organisations, NGOs, local and national authorities, academia, research institutions and relevant international organisations, on the issues faced by the heating and cooling sector, the largest end-energy use accounting for half of the EU's energy consumption ahead of electricity and mobility, with the participation of Miguel Arias Cañete, European Commissioner for Climate Action and Energy and of Dominique Ristori, EC Director-General for Energy. Following the successful first edition of the ESPC (European Sustainable Phosphorus Conference) in Brussels in 2013, and the launch of the European Sustainable Phosphorus Platform, Berlin this March will be the stage for ESPC2. Leading experts and decision makers in the field of phosphorus management will come together to exchange knowledge and experiences and take action. Join us for two days of inspiration and motivation in taking P to the next level! The conference will showcase phosphorus management success stories and business cases, with presentations and parallel sessions covering the themes below, and working round-tables to enable participants to meet and discuss joint actions and projects. On 17 March 2015, Commissioner for Climate Action and Energy, Miguel Arias Cañete, will launch a high level conference on renewable energies at the Ecocenter (Brussels Environment's new building at Tour & Taxis) and we invite you to take an active role. The potential of renewable energy technologies to further support jobs and growth in Europe. followed by an evening reception and social dinner at the Penthouse Suite, Collingwood College. Twenty fourth of International Mining Congress and Exhibition of Turkey, that has been biannually organized, successfully sustained for almost half a century and therefore, earned a well-deserved reputation in the eyes of the mining world, will be held between 14 and 17 April 2015 in Antalya which is one of the well-known touristic cities of Turkey. The main objective of the International Mining Congress and Exhibition is to provide an opportunity for exchanging knowledge recently produced, to introduce technologies developed and to build a collaboration atmosphere by bringing together scientists, academicians, consultants, and sector representatives from different areas and thus to make a contribution for improving mining sector. The implementation activities of the Galway Statement on Atlantic Ocean Cooperation, signed in May 2013 by the EU, Canada and the United States of America, and launching an Atlantic Ocean Research Alliance, are moving to a new exciting stage. This event will be the launch pad for all the 'Galway Statement follow-up projects' funded with the first Horizon 2020 Blue Growth calls - the main financial instrument on the EU side to make the Galway Statementcommitments reality. The event will celebrate the centenary of the 1915 M7 Fucino earthquake, that has been one of the most devastating earthquakes occurred in the Apennines. The earthquake produced extensive surface faulting and left a strong imprint in the landscape giving rise to an incredibly rich seismological, geological and paleoseismological amount of studies in the last century. The event will therefore welcome scientists from in the fields of earthquake geology, paleoseismology, archeoseismology, tsunami studies, earthquake engineering and seismic hazard assessment. Scientific sessions will be attended in the unique historical and cultural atmosphere of the Pescina village, followed by 2 days-field trip in the Fucino and L’Aquila area, retracing on the field the path of faults, landscapes, castles and ancient settlements. Moreover, a pre-congress archaeoseismic tour in Rome will be offered to all the participants. The ProSUM project consortium has the pleasure to invite you to the launch of the project. The first ProSUM Information Network meeting will introduce you to this exciting new initiative to improve the knowledge base on critical raw materials arising in secondary raw materials and welcome you to join the Information Network. The event is open for all stakeholders who are involved in any part of the value chain for recycling critical raw materials from WEEE, ELVs, batteries and mining wastes. Stakeholders will be willing to exchange ideas and knowledge and discuss the information and data needs necessary to enhance the European knowledge base. This event will be of interest to producers and manufacturers of electrical products, batteries, vehicles and their components; recyclers of WEEE, ELVs, batteries and mining wastes; policy makers; researchers; geological surveys and the minerals sector; producer compliance schemes organisations concerned with improving waste statistics and data. UNECE's Resource Classification Week will be held at the Palais des Nations, Geneva, 28 April–1 May 2015. An optional UNFC Workshop will be held on Tuesday 28 April followed by the Sixth Session of the Expert Group on Resource Classification (EGRC) from 29 April-1 May. These events offer unique educational and networking opportunities with experts from around the world working in reserve/resource assessment, classification and reporting. The Workshop will provide a comprehensive explanation of the UNFC and how it works, and is intended primarily for those who are not already completely familiar with the system and would appreciate an opportunity to ensure a full understanding of the system before applying it themselves. The Cuban Geological Society invites you to participate in the VI Cuban Earth Sciences International Convention and the Exhibition of products, services and technologies -Geoexpo 2015. As always, our host will be the Convention Palace in Havana, where the delegates will enjoy a wide variety of services. As part of the opening ceremony, two special lectures on geosciences and economy will be presented. Geology, Geophysics, Mining, Oil and Gas and Information for Geosciences and a series of thematic workshops on current subjects of great interest. The 2015 INSPIRE-GWF conference offers the opportunity to submit proposals for abstracts of presentations which will be delivered in thematic sessions, workshops and poster presentations. Considering the underlying objectives of both INSPIRE and Geospatial World Forum is to promote the optimal use and implementation of spatial data and resources for growth, there is an existing foundation for a synergised effort. While INSPIRE is designed to discuss the latest developments of the INSPIRE Directive, addressing common policy issues, applications and implementations of SDIs, Geospatial World Forum features success stories of private industry and users of spatial data boosting the business of spatial information. In terms of content, presentations given in sessions or the outcomes of workshops shall contribute to the general scope of the conference. 2015 will be a decisive year for the international community paving the way for sustainable development worldwide. Three important processes, led by the United Nations, are underway: the Post 2015 Framework on Disaster Risk Reduction (March 2015), the Sustainable Development Goals (September 2015), and the new Climate Change Agreement (December 2015). Geoinformation and especially Earth observation provide indispensable data to support informed decision making at the local, national, regional and global level to reduce disaster risks, improve adaptation to climate change, prepare better for unavoidable losses and damages, and deliver on the promise of sustainable development. The "United Nations/Germany International Conference on Earth Observation – Global solutions for the challenges of sustainable development in societies at risk" is now open for applications. The conference is jointly organised by UNOOSA/UN-SPIDER, the German Aerospace Centre (DLR) and the German Federal Ministry for Economic Affairs and Energy (BMWi). Geo-information and especially Earth observation are essential to support informed decision making at the local, national, regional and global levels on these issues. The announced conference picks up all relevant issues and combines them with possible benefits of Earth observation and space-based technologies. This International Conference will bring together Space leaders and Earth observation experts as well as decision makers and stakeholders involved in sustainable development, climate change and disaster risk reduction. The private sector plays an important role in topics such as sustainable development, climate change and disaster risk reduction. Hence we would like to integrate the views and expertise of the private sector. The Institute of Mining Engineering I at the RWTH Aachen University in Germany has been holding symposia on topics concerning mineral raw materials supply and mining for more than 20 years under the title Aachen International Mining Symposia. Industrialized countries economies heavily rely on the continuous supply of mineral raw materials. The mining sector world-wide has to improve the mining processes, the technology and the efficiency to cope with the increasing demand of the industrialized countries as well as the emerging markets. This goes hand in hand with addressing the global challenge of sustainable development in mining. Consequently the Symposium on Mineral Resources and Mine Development focuses on two interacting thematic areas – sustainable development and supply of mineral resources as well as mining processes and technology. Thus, the first thematic area of the Symposium – MINERAL RESOURCES – focuses on sustainable development and supply of mineral resources and related topics. Additionally, the second thematic area of AIMS 2015 – MINE DEVELOPMENT – focuses on the physical development of mining projects. Energy from variable renewable sources is increasingly changing the landscape of production, transmission and consumption of electricity and heat. Although increasingly competitive in terms of costs of generation, electricity produced by renewable sources poses new challenges in terms of integration and operation in the energy system. This conference is the opportunity to exchange views with European and national policy makers, representatives from industry and regional and local authorities, academia and research institutions, addressing among others the following questions: How can new technologies contribute to the integrating of renewables? How can regional approaches facilitate the integration of renewables? How can the integration of renewables enhance energy security? What does the energy system of the future look like? The conference will be organized by Slovak Environment Agency under the auspices of the Ministry of Environment of the Slovak Republic and aims to provide a unique possibility to share experience and perspectives in the field of contaminated sites internationally. Please, indicate your interest by on-line registration and by sending us lecture abstract before January 31st 2015. The International School on Foraminifera will organize the 8th Course, which will be held in Urbino (Italy) on June 3-21, 2015. This eighteen-day intensive course is specifically designed to provide an overview of the Taxonomy, Ecology, Biodiversity, and Geological History of Benthic and Planktonic Foraminifera. The course is intended for students interested in Micropalaeontology, Paleoceanography, Paleoecology, Climate History, Biology, and Environmental and industrial applications. From 15th to 17 of June, 2015, the 8th European Congress on Regional Geoscientific Cartography and Information Systems (EUREGEO) will be held in Barcelona. It continues the dialogue started in 1994 by the European regions of Bavaria, Catalonia and Emilia-Romagna. Again it shall serve as a platform for experts from regional and national geological surveys, from universities, research institutes and from the economy, building a bridge between scientific research and practical application. The Congress will focus on two ranges of subjects: 3D Modelling and Soil. The 15th ANNIVERSARY edition of SGEM GeoConferences will be held in the period of 16 - 25 June, 2015 at Albena Resort, Bulgaria. SGEM Conferences are well known and recognized as one of the most prestigious and with big impact factor events in the International Scientific World. SGEM Conferences cover all areas of the GeoSciences, with a total of 27 scientific fields. All accepted articles are published in the Conference Proceedings and yearly is submitted for evaluating and indexing by ISI Web of Knowledge, Web of Science, Thomson Reuters, ELSEVIER products, SCOPUS, CrossRef, EBSCO, ProQuest,Google Scholar, Mendeley, CiteUlike, CrossRef Citedby Linking, British Library. The goals of the conference are to call applying settlements, designers, construction companies, technical supervisors, geological, geological engineering, geographical, urban development, etc. professionals together to discuss the effective solutions for the problems. In the past 17 years the changes in the social and natural processes have required constant adaptation to current problems. Adaptation, change in the attitudes and international relations are needed, since the funds of the European Union play an important role in the management and prevention of events hindering land use and disasters in the geological environment. Therefore this year but mainly the following Geological Hazards Conferences will focus on geology with the interdisciplinary view. - A three-day oral and poster presentation program with an optional mid-conference visit to local underground limestone mines. - Pre- and post-conference field trips will visit three contrasting karst groundwater systems: the Cretaceous chalk, Jurassic limestones and Carboniferous limestones. - A pre-conference workshop is designed specifically for practitioners and there will be optional workshops for researchers as an alternative to the mid-conference field trip. The 26th General Assembly of the International Union of Geodesy and Geophysics (IUGG) will be held in Prague, Czech Republic, from the 22nd of June to the 2nd of July 2015. At present, union symposia are well defined in terms of conveners. Their descriptions are available here. Lists of solicited speakers of individual symposia are in an advanced phase of preparation. A complete scientific program will be ready in July when the registration and abstract submission tools will also be available. The World Materials Forum is the opportunity for key decision makers of global industrial companies – both materials producers and materials users – to meet and debate with leading academics, policy makers, media and high tech start ups in the same field. The 2015 program will focus on shaping the future of materials to create a sustainable world. It will include major speakers such as the Chairmen or CEOs of our partners mentioned below, as well as prominent academics from around the world , including Nobel Prize, Prof. Albert Fert. Top level representatives of the French Government, the European Commission and the United Nations will also attend - see our 2015 program for more details. -	disseminate and exchange fundamentals and applied research on hazard assessment, monitoring and real-time alert systems, mitigation control by means of structural and non-structural countermeasures. The event is organised by The Clay Minerals Group of the Mineralogical Society of Great Britain & Ireland and The Clay Minerals Society. The scientific program of EUROCLAY 2015 will bring together, in an exciting, leading-edge programme, specialists from different disciplines related to clays and clay minerals. It will consist of technical sessions of both oral and poster presentations with a generous quota of invited speakers who are the leaders in their respective fields. A pre-meeting workshop and mid-meeting field excursions and short course will be integral parts of the scientific program. A key aim of this conference will be to integrate industrial and academic workers, with sessions which cover both areas arranged around three societal themes where clay research flourishes, namely Energy, Materials, and Environment and Health. A visit to Edinburgh is one of life's 'must-do' items. As Scotland's capital city, it is the home of geology and is littered with places of interest for the delegate and accompanying person alike. 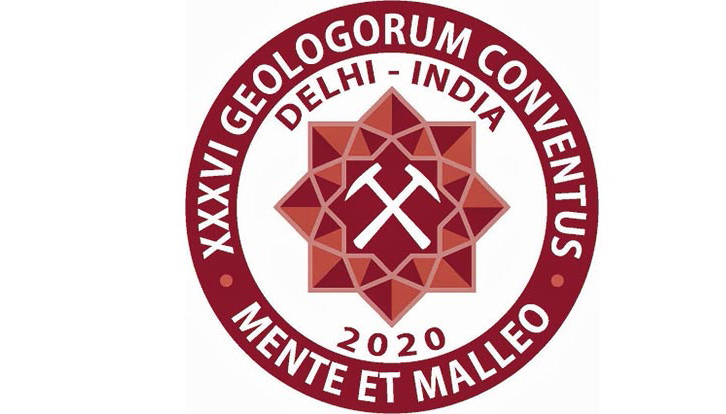 The congress follows the invitation by the International Commission on Stratigraphy (ICS) of the International Union of Geological Sciences (IUGS) to be held in Graz (Austria), July 19-23, 2015. The congress will be open to all topics in stratigraphy. The technical program will range from the Archean to the Holocene, across all techniques and applications of stratigraphy and the discoveries that the stratigraphic record reveals about the Earth system. In addition, it will also serve as the primary venue for ICS business, for ICS subcommissions to meet and awarding the ICS stratigraphy prizes. MEDGEO 2015 conference bring together researchers and decision makers from the physical sciences and the medical sciences who are interested in solving health problems caused by natural processes and materials. The participants of the conference will convey expertise in a range of scientific fields, such as geochemistry, biology, engineering, geology, hydrology, epidemiology, chemistry, medicine, nutrition and toxicology. The 12th International Congress for Applied Mineralogy (ICAM) will be held in Istanbul/Turkey, on 10 August – 12 August 2015. ICAM is committed to creating an opportunity for professional development, to share and disseminate information, and to foster the continuous advancement of the field of applied mineralogy. Every aspect of the congress is intended to make your time here beneficial, professionally and personally. Meet colleagues working at the cutting edge, and extend your network with other professionals in your field. The 17th annual conference of the International Association for Mathematical Geosciences IAMG2015 takes place on September 5-13, 2015 in Freiberg, Germany. The IAMG's mission is to promote, worldwide, the advancement of mathematics, statistics and informatics in the Geosciences. The conference welcomes both applied and methodological contributions dedicated to it. - Presentation of 3D Geomodeling and Mining Software which may be of special interest for EuroGeoSurveys and national geological surveys. Given activities at EU level like GeoMol, EGDI, GNEISS and others, the conference provides an excellent opportunity to reach out to an international, exclusive audience and present results and visions of these EU-sponsored activities. The scientific sessions will be held on September 7-10. Acceptance is based on short abstracts. Abstract submission starts after the 16th conference and ends March 1st, 2015. WMESS 2015 aims to provide a forum for discussion of the latest findings and technologies in different fields of Earth Sciences and give opportunities for future collaborations. We hope it will be an appreciated platform for sharing knowledge and experiences in the fields of Earth Sciences given below. Tectonics & Structural Geology, Engineering Geology, Geotechnics, Hydrological Sciences, Environmental Geology, Natural Hazards, Geomorphology, Geochemistry, Mineralogy, Petrology & Volcanology, Stratigraphy, Sedimentology & Palaeontology, Geophysics & Seismology, Geodesy, Photogrammetry & Cartography, Informatics, Geoinformatics & Remote Sensing, Mining Engineering, Blasting& New Technologies, Natural Resources Energy, Resources & the Environment, Biogeosciences, Geological Heritage & Geoparks, Urban Planning, Atmospheric Sciences, Climate, Medical Geology, Occupational Safety and Health. • How to secure integrity of geosites under threat? • What is sustainable use of a geosite? • Is mining and quarrying compatible with geoconservation? • How to incorporate geological heritage in Environmental Impact Assessments? This involves a broad basis of concepts such as geodiversity, geoconservation, geoheritage, geosite definition and selection, landscape, landforms and physical processes, local and global strategies, geoparks, international cooperation, geotourism, education and interpretation. Poster sessions will be open to presentations beyond the four main questions. The Polish experience in relation to unconventional hydrocarbon exploration, in particular shale gas, is unique in Europe. This half-day conference will provide expert insight and analysis into this experience and how it can serve to provide valuable direction for the future of the Energy Union. This conference is hosted by the Polish Geological Institute - National Research Institute (PGI-NRI), under the auspices of the Polish Ministry of the Environment and supported by EuroGeoSurvey. Are you concerned with the complexity of discovering, accessing and processing big data to address environmental related challenges? Are you interested in services related to climate change, food security or marine resources conservation? The international workshop on “Data infrastructures for Environmental related Societal Challenges” to be held on 22 September 2015 in Paris will illustrate data value requirements in the specific context of developing food-, marine- and climate- services. Three keynote speeches on the climate, marine and agricultural challenges will be given respectively by Sylvie Joussaume (IPSL), Julian Barbiere (UNESCO-IOC) and Michèle Tixier Boichard (INRA). The workshop will be closed by a panel that will explore how to make an effective and coordinated use of the services provided by existing infrastructures in meeting the addressed societal challenges. The panel will also discuss the role that international initiatives, like RDA, Belmont Forum and GEO-GEOSS, can play in helping this process. The concept of Geological Heritage initially arose in 1991 in France, following an international conference on the protection of Geological Heritage held at Digne-les-Bains. Since then several European countries have engaged in this process to raise interest and to protect geological heritage. The aim of this conference is to review the various regional, national and international actions that have been undertaken so as to understand how European public policies approach geological heritage. Presentations may deal with national or regional scale syntheses or local examples showing various types of actions undertaken and methodological presentations illustrating the wide range of possible approaches at an international level. 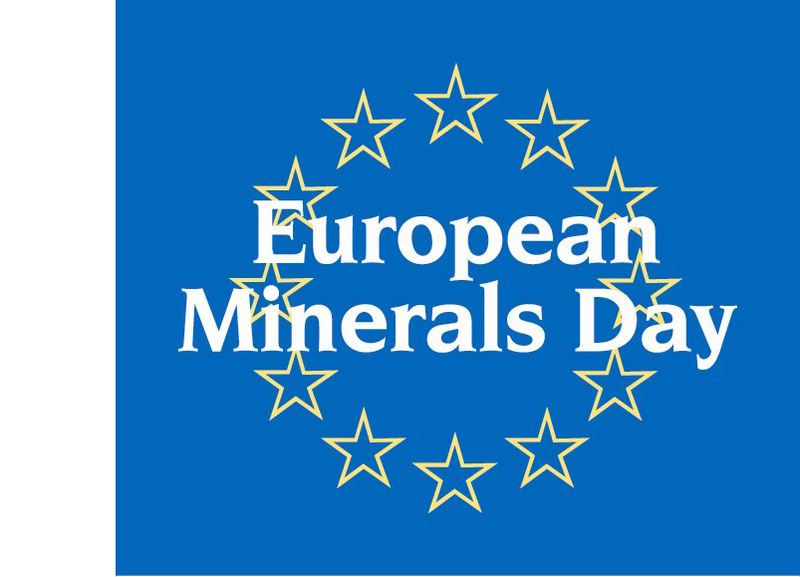 Every two years, the European Minerals Day (EMD) gives the opportunity to the European-wide public to explore the world of minerals. Over one week-end, quarries and plants from the minerals sector all over Europe open their doors to schools, students, families, neighbours and all those interested to discover more about an industry that affects every aspect of our lives. The EMD is initiative by the European minerals sector and its related representative organisations. During its first edition in 2007, it welcomed more than 30,000 visitors in over 100 sites in 17 European countries. JRC-EPSC Annual Conference "Building a Resilient Europe in a Globalised World"
Resilience determines capacity to successfully confront societal challenges and to adapt and overcome adversity. In an evolving global environment, resilience creates stability, which in turn promotes job creation, economic growth and environmental sustainability. The conference will kick off discussion between experts, representatives from European Institutions and Member States, stakeholders from industry as well as academia on the continuous process of building a resilient, stable, competitive and prosperous Europe. The Takano International Symposium will be dedicated to the life time achievements of Prof. Cyro Takano, University of Sao Paulo. The symposium is organized on the occasion of his 2 anniversaries in the same year: His age anniversary (he becomes 75 in August 2015) and scientific anniversary (in 2015 he reaches 45 years of continuous scientific contributions. The symposium will feature papers in the following fields: Fundamentals, technology and innovations on metals and alloys processing; Raw materials and their processing; Progress on reduction; Melting and smelting; Iron and steelmaking; Ferro-alloys; Nonferrous metals; Refining; Solidification; Energy; Environment; Recycling in metallurgical industries. Convening an international audience of 650 thought leaders from government, UN agencies, NGOs, the private sector, academia and civil society, Eye on Earth Summit 2015 will address the environmental, social and economic global data gap impeding our efforts to develop and grow sustainably. The Summit will facilitate a dialogue among participants that will lead to a convergence of thinking on the priority actions needed to address these problems and foster collaboration among the Eye on Earth community to take the necessary action. Through a variety of engaging plenaries, thought-provoking side events and a “souq” (marketplace) for networking sessions and exhibits, the Summit will emphasise the role of science, technology and citizen participation in addressing the following themes: Data demand, Data supply, Enabling Conditions. ECOWAS Mining and Petroleum Forum will take place in Accra, Ghana from 6-8th October 2015. ECOMOF is West Africa’s first and only institutionally supported regional mining and petroleum event. It was initiated by a unilateral decision from all of West Africa’s Ministers responsible for Natural Resource Development. The event is organised by the ECOWAS Commission, the Ministries of Lands & Natural Resources & Energy & Petroleum, Ghana and AME Trade Ltd. The Eighth International Oil & Gas Conference and Exhibition under the motto “Technological advances in the exploration, production and supply of energy sources which will ensure global economic development “ will be held in the Solaris Resort near Šibenik from October 13 to 16, 2015. The Conference and the Exhibition are jointly organised by Croatian Association of Petroleum Engineers and Geologists (HUNIG), Scientific Council for Crude Oil and Gas of the Croatian Academy of Sciences and Arts, Croatian National Committee of the World Petroleum Council and Croatian Section of the Society of Petroleum Engineers. Besides experts from Croatia and the wider region, we expect experts from respectable international oil companies in particular those which participated in the Croatian offshore and onshore licensing rounds. ‘New horizons for European and Global land monitoring’ will be organised by the European Environment Agency and the European Commission’s Joint Research Centre, supported by DG GROW. It is timed to mark the final stage of GMES/Copernicus initial operations of the land monitoring service (GIO land), and the move to the Copernicus operational phase. Throughout the event, the focus will be on sharing the achievements, challenges and lessons learnt from the initial operations phase, but also on looking forward to the Copernicus operational land services. The event will cover the whole range of products, from the local, pan-European and global components. It will also cover the in-situ component. In addition, ‘New horizons for European and Global land monitoring’ will focus on user engagement and the priorities for future perspectives. EMODnet has evolved considerably since its inception in 2009. Advancing well into the second development phase (2013-2016) it is moving towards full operational stage with coverage of all European sea-basins and making available higher resolution data layers. Consortia have grown both in size and geographic coverage and EMODnet now includes more than 110 partner organisations. Increasingly, stakeholders are also becoming involved in the development of EMODnet tools and services. As we approach the end of phase II and move to the final EMODnet development phase, it is therefore timely to take stock of the progress made to date, to learn from past achievements, to exchange best practices between the thematic and regional projects and to make plans for the future. In phase III (2015-2020) partners will work towards providing a seamless, multi-resolution, digital map of the entire seabed of European waters. Providing highest resolution possible in areas that have been surveyed the map will include topography, geology, habitats and ecosystems; accompanied by timely information on physical, chemical and biological state of the overlying water column as well as oceanographic forecasts. The 1st Geological Congress of Bosnia and Herzegovina will be held between October 21-23, 2015 in Bosnia and Herzegovina and it is organized by the Geological Society of Bosnia and Herzegovina. The topics that will be discussed cover Stratigraphy, paleontology, tectonics, geochemistry, petrology, mineralogy, sedimentology, ore geology, mining geology, economical geology, geophysics, engineering geology, hydrogeology, geomechanics, geotechnics, geomorphology, geotourism, climate change, and other topics in earth sciences. As the theme of the conference "Automation & Robotics" goes, the summit will focus on implementing new technologies and innovation in the mining sector of the Latin American market. The conference will be a closer look at next generation mining and its role in revolutionizing the mining industry. EC International Conference "Exchange of good practices on metal by-products recovery – technology and policy challenges"
This Conference will tackle the technology challenges but also the policies and regulatory framework apt to promote the recovery of metal by-products of mining and processing which are currently sub-exploited. With a focus on processing during primary production, this event aims to provide a unique opportunity to share experiences, exchange good practices and present existing examples across the whole value chain. It will bring together industry, academia and research entities excelling in the technologies to recover by-products, as well as relevant public entities and policymakers from the EU and from third countries. The two-day conference will include presentations from key international stakeholders and a poster session with networking cocktail. A specific session aimed to promote cooperation in the field of research and innovation is envisaged. For more information about the conference and the programme, please visit the Conference Secretariat website. As the big success of the 1st and 2nd Workshop on Geoelectrical Monitoring, held 2011 and 2013 in Vienna, proved, Geoelectrical Monitoring has developed as one of the most innovative emerging branches in the area of applied geophysics within recent years. It is now applied to solve problems in key areas of public and political interest, like natural hazard mitigation, agriculture optimization, CO2 storage and groundwater exploration. To foster scientific discussion and to support cooperation among the scientific groups, the Geological Survey of Austria invites to the “Third International Workshop on Geoelectrical Monitoring”, which will be held in Vienna from November 24th to November 26th, 2015. The scope of this workshop should not only be the presentation of state-of-the-art results but significant time will also be reserved for the discussion of special topics of data acquisition, processing, inversion and interpretation. The Executive Agency for Small and Medium-sized Enterprises (EASME), responsible for implementing most of Societal Challenge 5 part of H2020, has the pleasure to invite you to the Clustering & Networking meeting "Boosting synergies on EU WASTE Research and Innovation projects''. The morning session will address new views on Systemic eco-Innovation, transition thinking, Public Private cooperation & eco-design. Then, H2020 Waste coordinators will present their projects in response to several key topics such as Stakeholders engagement, Communication, Business models and Exploitation. There is planned a networking session for participants. The afternoon session will be a unique opportunity for participants to identify possible synergies with other project coordinators, EU initiatives and EU staff. The annual conference presents a comprehensive overview of developments in the fields covered by the EIP, including successful Raw Materials Commitments; regional approaches and investment in raw materials; and launching the 2nd call for the EIP "Raw Materials Commitments". Following the adoption of the Strategic Implementation Plan (SIP) in September 2013, the first set of 80 commitments by over 700 companies, public agencies, research institutes, non-governmental organisations and other stakeholders from all over Europe was launched in 2014. These partners have all committed to contribute in one way or the other to fostering technological and non-technological innovation in Europe’s metallic, mineral and forest-based raw materials value chains. In parallel the first specific raw materials calls of Horizon 2020 worth €140 million of EC funding were launched in 2014 and 2015. In case of any enquiries arising, please send these to the EIP secretariat: [email protected].